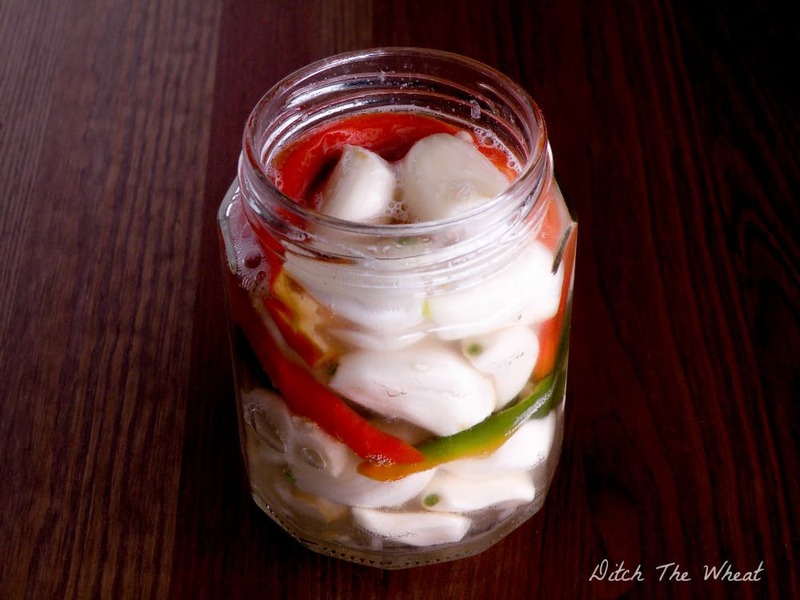 How many of you are confident in your fermenting abilities? I’m slowly getting there. I still use Real Food Fermentation as my guide and I refer to other people’s recipes. So far my fermenting adventures have resulted in one win and one moldy mess. Beet Kvass, I’ll try you again another day. My father gave me some pickled garlic he bought. I loved the taste. The garlic was crunchy and spicy since it was pickled with hot peppers. 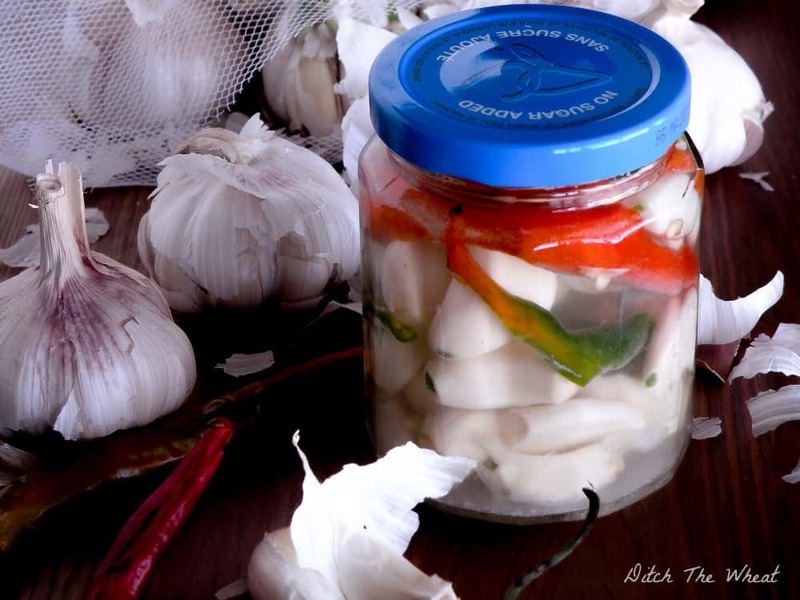 I recently saw this post by Oh Lardy, on how to ferment garlic. I thought “I can do this!” Fermenting can’t be that hard… ok, it’s hard. I find it hard to get the hang of. 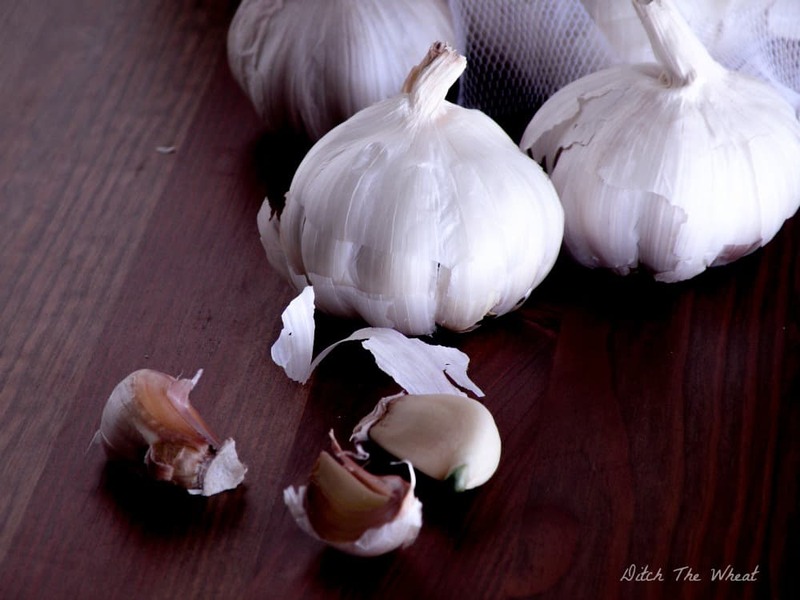 I bought this huge bag of garlic thinking I would ferment it all….so glad I decided not to. 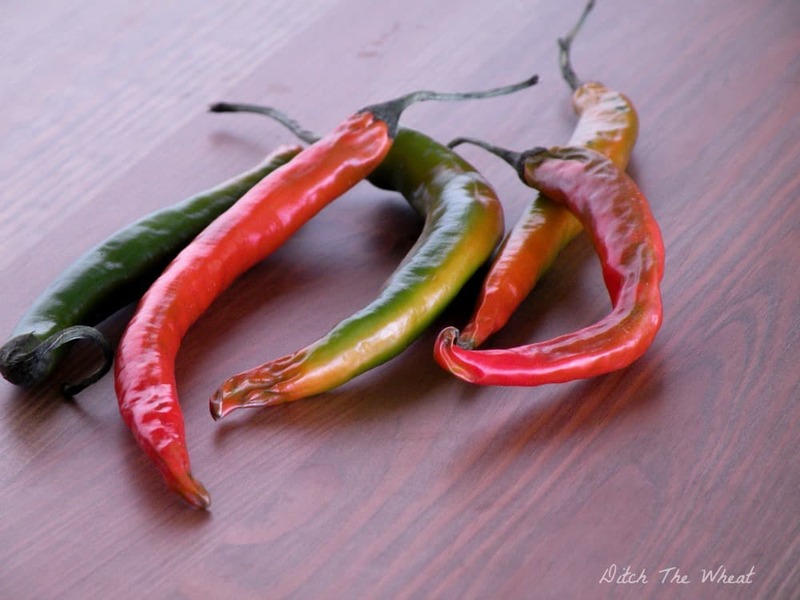 Fermenting 101 – don’t overdo it if you don’t know what you are doing. 1 tsp of salt to every 1/3 cup of water + any fermenting insurance you have (which would be my sauerkraut juice I was saving). I will warn you after a week some of my garlic turned blue. Don’t panic! Oh Lardy warned me this would happen and I’m so glad they did. I would have freaked out. Add all ingredients together in a small glass jar. Cover with a lid and leave it in a dark place for a week. 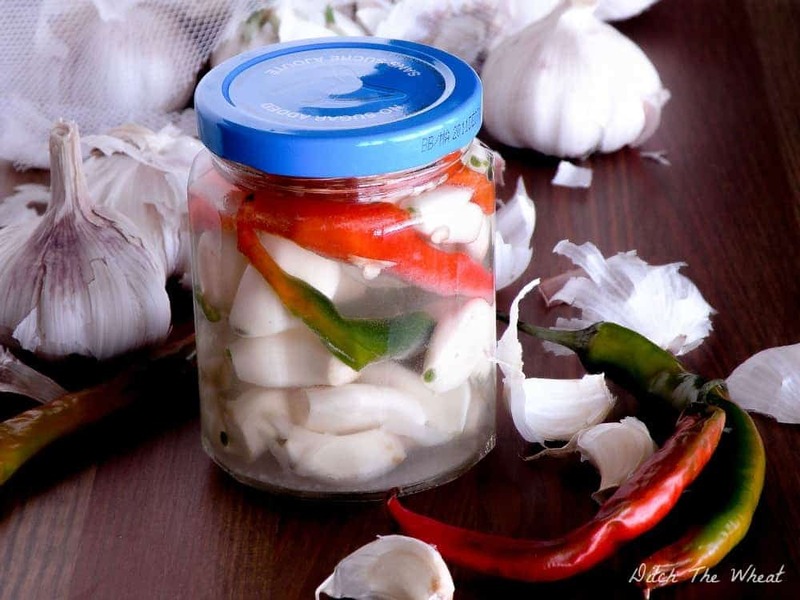 Open the jar everyday to release gas and to make sure it is not moldy. *If mold appears on the top throw it out. The fermentation did not work. Refrigerate after a week or more. p.s. you will know if your fermenting experiment is working by seeing bubbles after a few days.